Earning points and miles through a variety of lucrative credit card bonuses can open up tons of amazing travel options. But to really work this hobby to your advantage, you need a solid credit score. Today, TPG Contributor Vikram Birring goes back to basics with a look at several things that you may not even realize are influencing this all-important number. There are many mysteries in the universe, but perhaps none bigger than the methodology of how a credit score is calculated. To clear away some of the confusion and provide some insight into this rather secretive process, I’ll run through five items that could be negatively affecting your credit score. 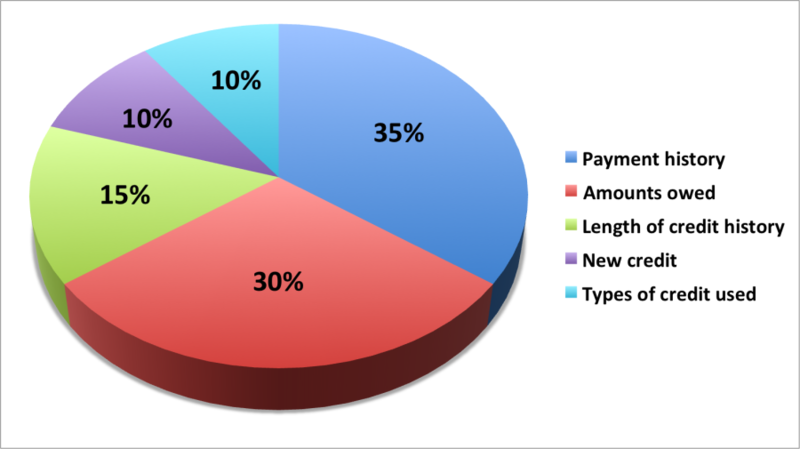 A variety of factors determine your FICO score, the most widely used credit score. This may seem counterintuitive, but closing old credit cards that are no longer needed can actually hurt your credit score, because one of the factors in calculating a credit score is the average age of credit accounts. However, there are some benefits to closing an old account: It’s one less card for an identity thief to target, and it’s one less annual fee to pay. But the bottom line is to think carefully before you open a new credit card, since it’s best to keep your accounts open for as long as possible. Related to the aforementioned point, being an authorized user on someone’s account can actually help your credit score, because it increases the average age of the accounts. However, this is making the assumption that the account holder is a responsible user. If not, this could backfire in spectacular fashion. Applying for multiple credit cards at once has become a popular way to accumulate lots of points very quickly. However, this can have negative implications for your credit score. The logic is the more credit you apply for, the more it appears that you need money. If you apply for a lot of credit at once, it makes you look desperate for money, and this raises a red flag for issuers. Sure, in the short term you will accumulate a boatload of points, but is it really worth it? In my opinion, no. Also, recent reports state that Chase has begun to crack down on churners. Cards that were once easily attainable are now being denied due to too many applications in the last 18-24 months. The lesson: Be picky about which cards you choose to apply for. Having a wallet full of travel rewards cards is great, but make sure you’re managing your spending and payments effectively. Utilization ratio is equal to balance/credit limit. The higher the ratio, the more warning signs that begin to appear to the gods of credit scoring. A good percentage is thought to be below 25%. Ironically, 0% isn’t a good ratio to have either; creditors like to see that cards can be managed responsibly, and zero indicates that credit is not being used at all. A big part of this is also when your balances are reported to credit agencies. So depending on the date, your utilization ratio could appear higher than usual. A good way to keep this low is having multiple payments in a month. Sometimes, banks do you a favor by raising credit limit, which has the benefit of automatically lowering your utilization ratio. Also, while it seems counterintuitive, it’s actually beneficial to have certain kinds of debt, such as mortgages and other loans, as long as you’re submitting the minimum payments in a timely fashion. This may seem simple, but it’s worth stressing. Paying the required amount on credit cards on time is essential to a healthy credit score. Not paying them on time hurts it — badly. The best way to keep this in line is to put the accountant hat on: Know how much money is coming in, and don’t spend more than that. Plus, credit card interest rates are absurdly high, and falling into that spiral can be like walking into quicksand. Amex cardholders can view their FICO score for free. 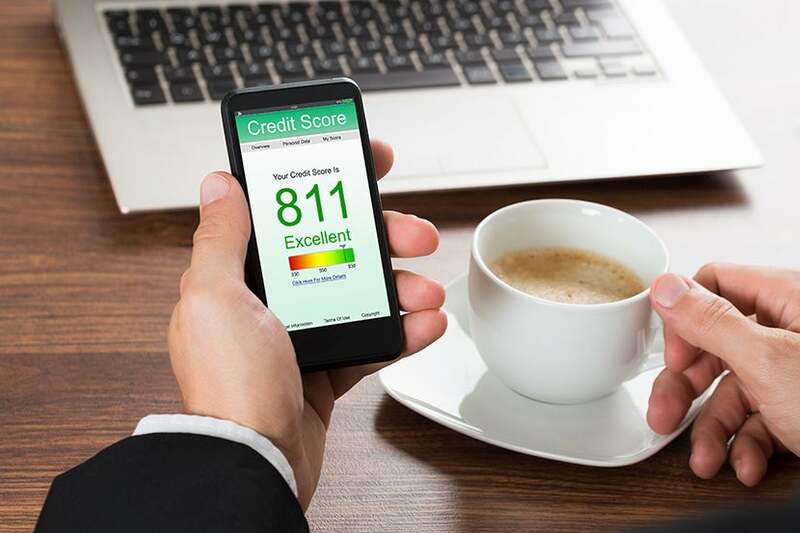 Above are behaviors that hurt your credit score, but unfortunately one major item that can negatively impact your score is, frighteningly, something you have no power over. Credit errors due to no fault of one’s own are increasingly prevalent, and generally the only way to get the major credit bureaus’ attention is to sue them. 60 Minutes aired an investigative report on this in 2013, exploring the utter lack of responsiveness and shady tactics such as offices located in countries thousands of miles away. Consumer Reports has also covered this subject more recently. A recent example of this was a Russian immigrant living in New York named God Gazarov, who due to his first name was denied credit and fought a five-year legal battle (from which he finally won a fruitful settlement from Equifax) to fix the situation. The good news is that the Consumer Financial Protection Bureau is pushing for changes to the system as a whole. And there’s a possibility that legislation that could force the credit bureaus to give accurate information and review consumer complaints. Staying on top of your payments can bring an excellent credit score within reach. Image courtesy of Shutterstock. Your credit score is a big deal, so be educated, be smart (don’t go crazy applying for unnecessary credit cards and pay the ones you have on time). If you do have a less-than-stellar credit score, don’t despair: There are still some travel rewards cards that you could get approved for while working to improve that number. Keep in mind that several credit cards offer your credit score for free, and you can get a free credit report every 12 months from AnnualCreditReport.com. Above all, make sure you pay attention at all times! Have you ever dealt with the fallout from a credit score error? Share your experience in the comments below!